Like us, you probably hate a bad hair day. This is why you’ve invested in a hair dryer to keep your hair looking as good when you just styled it. But no matter how much it helps your hair, it can cause severe damage to your ears. Since hair dryers are used close to the ears, its loud noise can affect your ability to hear. A good option is choosing a quiet hair dryer. But with hundreds of products to choose from, how do you pick the right one? Luckily, we did all the research for you. Here is our list of the best quiet hair dryer. Have fine and thin hair? Then you’ll love the Centrix Q-Zone Dryer! This best quiet hair dryer only has a wattage of 1,500. So, you can style your hair as much as you want because it’s much gentler compared to traditional ones that go up to 2,000 watts. This also means that it’s quite weak. So, you might need to pass if you have thick hair. This quiet hair dryer can produce airspeeds of up to 50 miles an hour. This means it dries your hair quickly so it’s great if you don’t have much time on your hands. If you have frizzy hair, you may want to consider this product. The ionic technology of this hair dryer works by reducing static electricity to make hair more manageable. You can choose from 3 heat settings and 2 fan speeds. The 2 rocker switches are conveniently located in front of the handle while the Cool Shot button can be found at the back. It has an 8-feet long cord so it’s great for home and salon use. It also has an ergonomic design; but, it’s on the bulky and heavier side so you’ll have to skip on this if you have weak wrists. 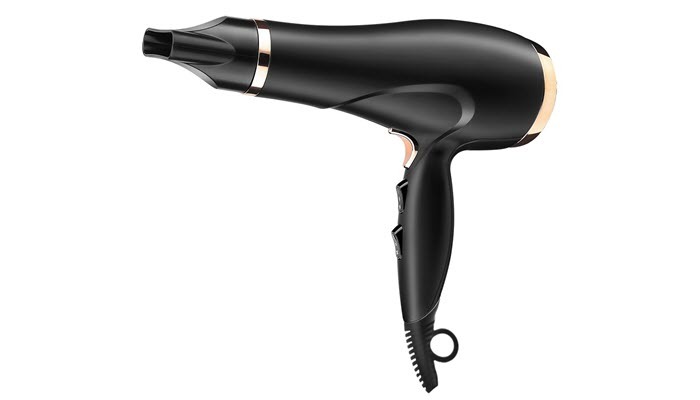 The Revlon RVDR5045 Quiet Pro Ionic Dryer has a wattage of 1,875 so it can dry hair quicker. It’s a must for ladies with long and thick hair who want to dry their hair in half the time. It’s also very lightweight so it’s great both for professional and personal use. It has a removable filter which makes it easy to clean. It also uses ionic technology that tames down frizzy hair and makes it shinier and healthier-looking. This quiet hair dryer has an 8.2-feet power cord so it doesn’t matter how far you are from the power source. It even comes with a hang loop which allows you to hang it anywhere. It has a 3-heat and 2-speed setting and a Cool Shot button. These are placed on the handle, too, so you can easily reach them to make adjustments. But, this is also a con since you might change the settings by accident while using the dryer. Another con is that we can’t use it upside down. It makes a noise that sounds like it’ll break—so if you have limp hair and want to make it fuller, this might not be the dryer for you. When it comes to design, the Ion Whisper Quiet Lite gets our vote. It is very sleek and weighs only a pound so it’s great for people on the go or those who travel a lot. But, don’t let its size fool you! 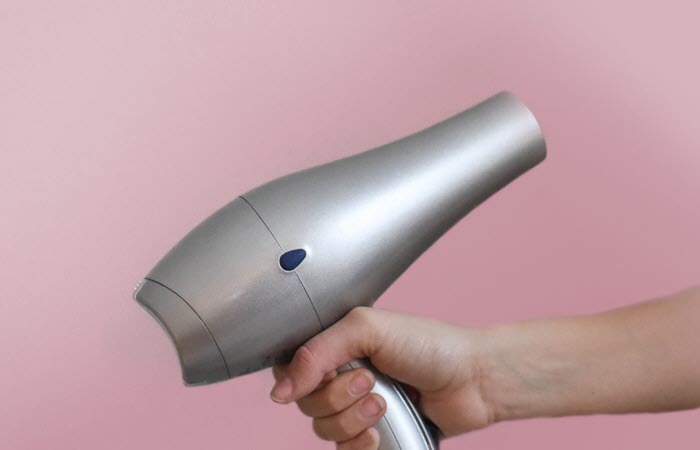 This quiet blow dryer has 1,875 watts so it dries hair in half the time. Thanks to its tourmaline ionic technology, say hello to silky, straight hair and make frizzy hair a thing of the past. It also has a 2-speed dryer and a 4-temperature setting to cater to your hair’s needs. A Cool Shot button is also included to help lock your style in place. But as we said, we think placing control buttons in front of the handle is a bit problematic. We also had a hard time removing the concentrator that’s attached to the blow dryer. But, that’s no big deal for us considering how great this product is. Plus, we really love that this product has a removable filter. This makes cleaning super easy and is a guarantee for a powerful motor with every use. 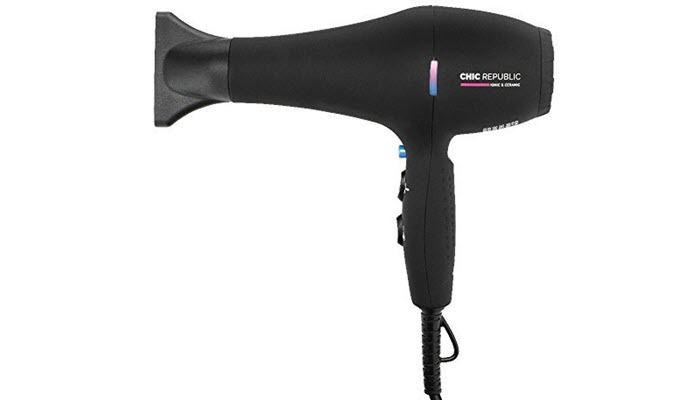 Traveling and sleek hair go hand-in-hand with the Chic Republic Professional Ionic Hair Dryer. It is compact and weighs less than a pound so you can easily bring it wherever you go. A unique feature is its heat indicator light to let you know if the airflow is cool or hot. It also has a cool shot blue light that locks any style and makes it look like it’s professionally done. It has a wattage of 1,875 so having thick hair isn’t a problem. Its high-powered motor provides superior velocity and concentrated airflow to dry your hair faster without damaging it. This quiet hairdryer comes with 2 diffuser nozzles. These allow you to dry, straighten, and style your hair based on your hair type. It also has 2-speed and 4-heat options to make that perfect hairstyle. And with its static reducing technology, you can now have smooth and shiny hair whenever you want. It comes with a 3-meter cord—which is nice, but you just have to be careful as you might trip. You’ll also love that the plug comes with overheating protection for your safety. We believe that our sense of hearing is one of the best gifts we have. But since it deteriorates as we grow older, we must start looking for products that protect it while we’re still young. As a rule, noises that are higher than 85 dB is dangerous to the ears. The lower the dB rating, the safer it is to listen to for a longer period. But since most products don’t give you this rating, check the wattage. The lower the wattage, the safer it is for the ears—though, it can also mean longer drying time. 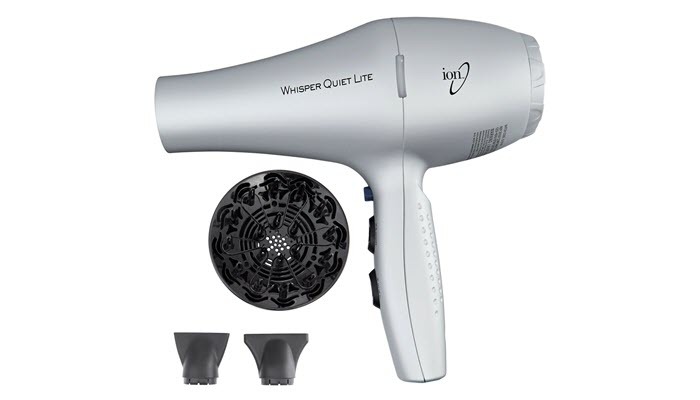 Most quiet hair dryers range from 1,400 dB to 1,600 dB. However, some units go up to 1,875 dB but are still as quiet as those with low wattage. 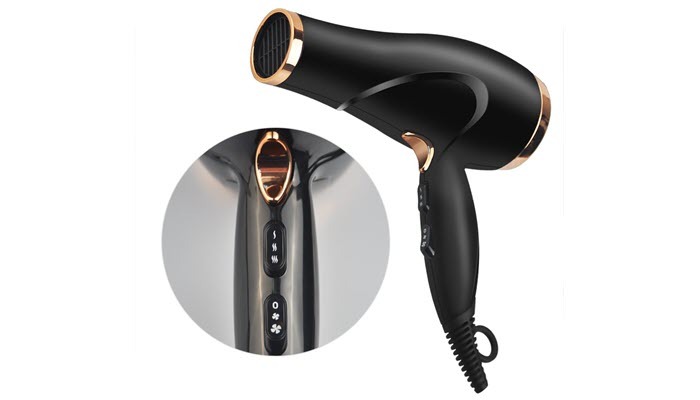 Hair dryers use ceramic, tourmaline, and ionic technology. These technologies are what protect hair from too much heat and make it shiny. Go for those that use ionic technology. Aside from being the quietest, these hair dryers help remove frizz while making hair soft and bouncy. Hair dryers that use dual airflow increase airflow and produce dramatic results. It lessens how noisy a product is since there’s a space between the body and the fan. It is also important to check the heat and speed settings. More options mean it’s more silent and good for the ears. 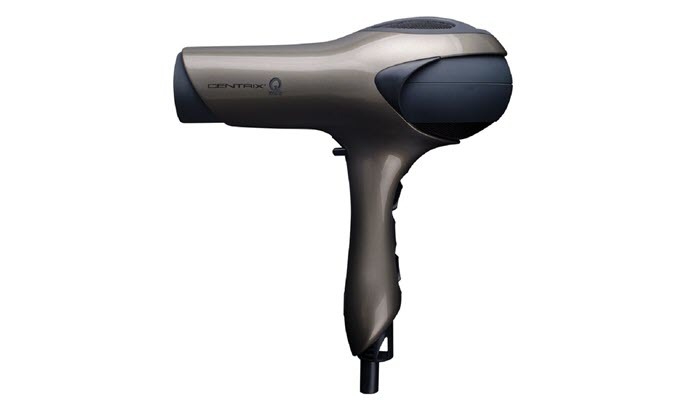 The Centrix Q-Zone Dryer is our choice as the best quiet hair dryer. However, it does have a high price point but we guarantee you it’s worth the investment.